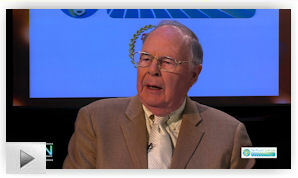 Ken Boremi, CFI was promoted to Operational Vice President, Loss Prevention for Brookstone. Ken joined Brookstone in 2000 and just recently celebrated his 15th anniversary with the Company. Ken's first assignment was as a District Loss Prevention Manager, until his promotion to Regional Loss Prevention Manager in 2002. Ken again took on more responsibility when he was appointed Assistant Director of LP in 2008, and he was then promoted to Director in 2013.
came to us from Hot Topic, where he was a Regional Loss Prevention Manager. Ken obtained a BS in Criminal Justice from the University of Massachusetts and holds multiple LP certifications. Ken is a frequent lecturer at National Retail Federation (NRF) Conferences, and is sought out nationally for his expertise in leading Loss Prevention teams. 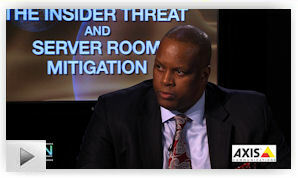 Under Ken's leadership, the Loss Prevention team has been an invaluable partner to our Field, SSC and DC/CCC teams. Most recently, the Loss Prevention team was the recipient of the prestigious Sanpower Outstanding Team Award, based in part on its tremendous success in 2014, reducing Store shrink by $606,000 at cost vs. 2013. Under Ken's leadership, the Loss Prevention teams continues to succeed, year after year, and are always looking to find ways to save the Company money, reduce shrink, reduce theft, and improve our processes and procedures to be more efficient. Congratulations Ken! Rod Holm was named Director of Asset Protection for Big Lots Stores. Rod was previously the Senior Vice President of Business Development for Best Security Industries before taking this new position. He has held executive leadership positions such as Senior Vice President, Global Business Development for USS, VP of Loss Prevention for Express, Zone Vice President for Limited Brands, Director of Loss Prevention for Gottschalks, Asset Protection Director - West Coast for Target, and Director of Loss Prevention for Cato Corporation and Clothestime. Congratulations Rod! "It is our pleasure to recognize these exceptional students that the IOBSE selects to attend its annual conference. On behalf of ebay, inc. it is our pleasure to assist in their continued education", said Paul Jones, LPC, Senior Director Global Asset Protection, ebay, inc. and Chairman of LPF's Diversity Committee. Nudge, don't judge, shoplifters - Specifically designed shopping centers geared to make shoplifters think twice Researchers Dhruv Sharma and Myles Kilgallon Scott from Lancaster University's Highwire Centre for Doctoral Training are calling for changes that will encourage customers to get involved with 'natural surveillance' to put shoplifters firmly in the spotlight. The team want to see environments which will push people in the right direction not to commit a shoplifting offence rather than sending them to prison, or other punishments, after the act. When you go to a shopping mall it's not just a building containing shops," says Dhruv. "It's strategically planned and laid out so we walk in a preferred direction and goods are placed in certain ways and locations presenting visual cues to buy. So why can't similar thinking be applied to target potential criminals without them realising that they are being targeted to actually prevent them from committing the act of shoplifting?" "A store could actually place valuable items in 'interactive spaces' that would encourage other customers to watch people handling the expensive goods," explains Dhruv. For different products you could have different characters, which would encourage children to watch." Dhruv and Myles's research paper, "Nudge: Don't Judge: Using Nudge Theory to Deter Shoplifters" advocates the creation of environments which will 'push people in the right direction' not to commit a shoplifting offence in the first place rather than the courts sending them to prison, or receiving other punishments, after the act. The paper, which offers an alternative approach to tackling the problem, draws on three different disciplines -- sociology, design and criminology -- to construct a theoretical framework of motivation to shoplift. Calif. AG Says House Bill Weakens Data Security Rules - Would Replace Dozens of Stronger State Laws California Attorney General Kamala Harris has urged House leaders to make sweeping changes to a congressional proposal for national data security rules for private companies, saying in a letter that the Data Security and Breach Notification Act would preempt stronger state laws and thus harm consumers. As it stands, the preemptive language of the measure introduced in March by Marsha Blackburn, R-Tenn., and Rep. Peter Welch, D-Vt., "would weaken data security and breach notification rules" for states with stronger data security regimes like California, Harris said to Chairman Fred Upton, R-Mich., and ranking member Frank Pallone, D-N.J., of the House Energy and Commerce Committee in a letter released Friday. The bill, which cleared the committee last month in a 29-20 vote, would undermine the various measures her state has put in place to protect consumer data, including the first ever state data breach notification requirement, and a special privacy task force in the California Department of Justice to enforce compliance, according to Harris. Dollar Tree Stores Inc. failed to adequately inform prospective employees about its practice of obtaining consumer reports about them, according to a proposed class action filed in Florida federal court. The proposed nationwide class alleged in the complaint that Dollar Tree failed to properly disclose in a separate document that it was going to obtain employees' consumer reports for hiring purposes and improperly included a waiver of liability in the notices it did provide, in violation of the Fair Credit Reporting Act and Federal Trade Commission regulations. Named plaintiff Lashay Walker also claims that because the disclosure forms failed to comply with FCRA requirements, Dollar Tree did not have proper authorization to obtain consumer reports on prospective employees. Walker is seeking to represent a national class of potentially thousands of current and prospective Dollar Tree employees who were subject to a consumer report obtained by the company in the past five years, according to the complaint. The lawsuit seeks statutory and punitive damages for violations of the FCRA. Organized crime gangs & Mafia stealing freight in Europe, hijackings on the rise in France, Italy and Russia The organization has released a report noting the top ten freight crime hotspots of Europe, which concluded that seven of them would see sharply increased levels of theft and hijackings. The use of violence is commonplace in some regions - hijacking is on the rise in France, Italy and Russia - while in other regions, less confrontational theft from parked trailers and warehouse is dominant. The UK was identified as being particularly vulnerable to cybercrime, with the huge growth of e-commerce and lax digital security widespread. Paris and its environs witnessed the highest growth of crime last year. French police estimate that 2,300 freight crimes took place in the country in 2014, representing a 40% increase on 2013, and they expect even more this year, especially with the heightened threat of Islamic terrorism in the country. Violent hijackings are also a common feature in southern Italy where maximum threat levels apply to all supply chains", describing the risk of falling victim to criminal gangs attacking trucks and vans in transit in the wider Naples/Salerno and Bari areas as "severe", which are dominated by mafia organizations. 1. An assessment of the value of investing in cyber intelligence. An understanding of where your data might be vulnerable, and how hackers can exploit weaknesses in your system. WASHINGTON, May 19, 2015 - The Obama Administration's plan to revise federal overtime regulations would likely "hollow out" low- and mid-level management positions in the restaurant and retail industries and result in a shift toward more hourly and part-time workers, a new National Retail Federation report showed today. The report, Rethinking Overtime, found that the proposal could cost retailers millions of dollars in added costs and would disproportionally impact retailers operating in rural states. "This is a workplace regulation with massive hidden costs," NRF Senior Vice President for Government Relations David French said. "Any potential lift in take-home pay would be a mirage, but the consequences of this rule would be real, in terms of higher costs for businesses and less opportunity for employees to move up the career ladder from associate to manager. The overtime rules would hollow out middle-management careers and middle-class opportunities for millions of workers." NRF recently surveyed restaurant and retail managers on the overtime changes and found that a majority oppose the proposed revisions, with 81 percent saying customer service would be negatively affected and 75 percent saying the proposed changes would diminish the effectiveness of employee training and hinder their ability to lead by example. "The plan to revise the overtime rules could cost businesses hundreds of millions of dollars while increasing inequality across the board," French said. "It would help very few workers while negatively impacting a large segment of our economy and workforce." The new NRF report conducted by Oxford Economics - a leading global economic consultancy firm founded with Oxford University - comes as the Department of Labor is revising federal overtime regulations. The new rules, which were recently submitted to the Office of Management and Budget for review, are expected to raise the current standard that guarantees overtime to workers earning up to $455 a week and redefine the duties of administrative, executive and professional workers above that level who can be declared exempt from overtime. The rules were last updated in 2004 and 1976. The study looked at the 1976 rules and wage thresholds, and updated them to reflect 2013 dollars. Under that analysis, the threshold could be raised to either $610, $808 or $984 per week. In each case, the report found that the new salary threshold levels and rules would adversely affect an increasing number of workers who are currently exempt from overtime pay. This would result in added employer costs, a decrease in employee benefits and compensation in addition to more part-time and hourly workers. "Our report belies the administration's rosy predictions that the proposed overtime regulations would benefit workers," French said. "As the report shows, utterly predictable reactions to the new rules would likely curtail career advancement for millions of working Americans by eliminating middle-management positions, which would be replaced by hourly and part-time employees." Van Carney, Director of Safety & LP for Domino's Pizza and David Johnston, Sr. Dir. 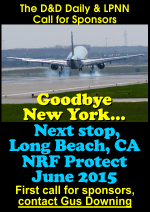 LP & Corp. Security for Dunkin' Brands Inc.
Watch more 'Live in NYC' episodes here. Both NRF and RILA have been tirelessly working together and separately over the past year to establish efforts to help fight the cybercrime crime wave impacting retailers nationwide. 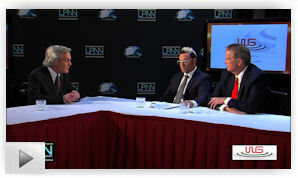 Leaders from both industry groups sit down together with LPNN for an in-depth look at the NRF's Threat Alert System and RILA's Retail Cyber Intelligence Sharing Center. Tom Litchford, VP, Retail Technologies for the NRF, and Suzie Squier, Sr. VP, Member Services for RILA, discuss the latest in cybersecurity, what the two leading retail associations are doing about it, and what role LP executives can play in the fight against this unprecedented threat. 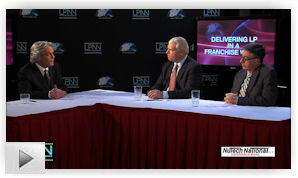 Greg Saputo, Regional Sales Director, Se-Kure Controls, joins Joe and Amber for an LPNN Quick Take. Learn what Greg's one regret was after he made the switch from retailer to solution provider after 34 years in the LP industry. Showcasing each team in order! View all the selfies here! Submit a group selfie of you and your LP team and you could get a plaque. Please submit a high resolution photo (300 dpi) and logo at 5" wide for your printed plaque, and if you have a tagline or slogan either from your team or from the company, please send it to us as well for inclusion on the plaques and here on the Daily. Click here for more details. New to the D&D Daily, "My LP Selfie"! Got a Smartphone, webcam or camera? Snap a picture of yourself and send it in to the Daily! Let's see what all our LP folks are up to! We're now nearly midway through 2015, and payment security still remains a topic that stirs up great concern and confusion across North America. And while there is seemingly unanimous agreement on the need for heightened security, there's uncertainty about those who are tasked with actually implementing it. A new report digs deeper into the pros and cons of P2PE, tokenization and EMV, how each will play a part in the next generation of securing payments, and how - without properly working together - they might just fall short. The world teems with tech-savvy criminals, jumping at their chance to intercept POS systems and scrape the memory from Windows machines. That's where P2PE comes in. It secures devices, apps and processes using encrypted data with cryptographic keys only known to the payment company or gateway from the earliest point of the transaction. P2PE isn't cheap if an organization wants to do it in-house. The secure cryptographic device needed to manage the keys, Hardware Security Module (HSM), can cost $30-40,000 - but when it's built out, that total cost can jump to $100,000. A powerful guard against credit card skimming, EMV also uses cryptography to create dynamic data for every transaction - and relies on an integrated chip embedded into the card. For ISVs in North America, says Creditcall, the biggest downside of EMV is the complexity of creating an EMV solution. The best way to protect cardholder data when it's stored is using tokenization, a process which the PCI Security Standards Council describes as one where the primary account number is replaced with a surrogate value - a token. Ken Boremi, CFI was promoted to Operational Vice President, Loss Prevention for Brookstone. Rod Holm was named Director of Asset Protection for Big Lots Stores. Michael Batteau was named Regional Director of Ethics & Compliance for Rush Enterprises. 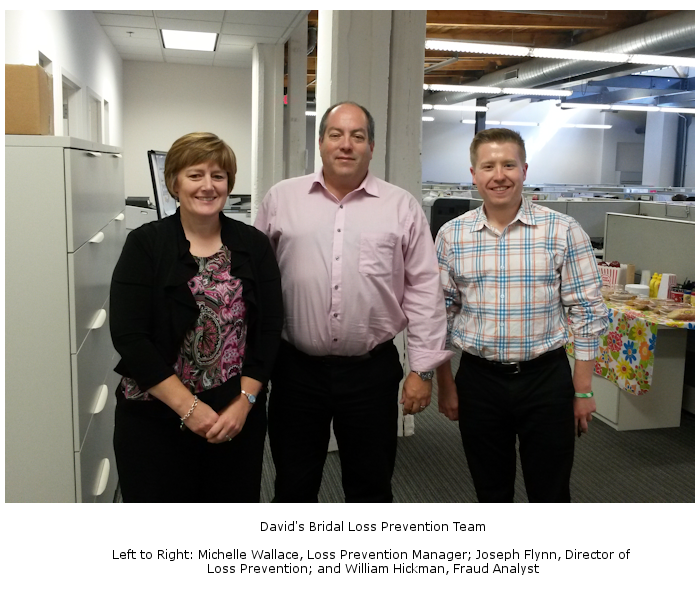 Anthony Digiovanni was named Loss Prevention Supervisor for Kohl's. The e-mail world may have sped up the world and allowed people to communicate virtually instantly, but it's not the forum to resolve issues between people. If anything, the freedom an email offers insofar as the ability to write whatever best suits your points and usually with an added pinch of sarcasm may, in fact, deepen the crevasse and cause more harm. It's much easier to write in solitude than to face your intended recipient and their immediate response. So the next time you receive one of those OMG emails, think twice before responding because you never know who else may be reading and, after all, if you truly want to resolve an issue with a person, you need to do it the old fashion way -- face to face.